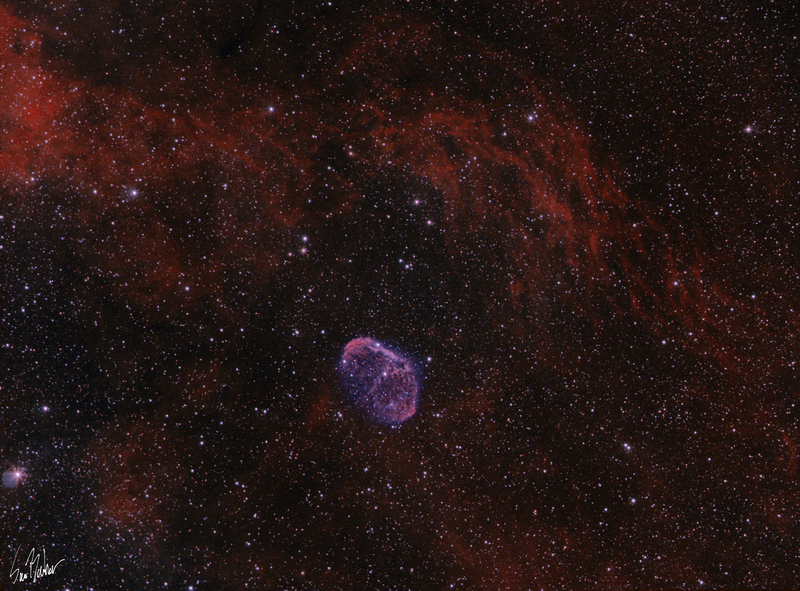 The Crescent nebula (center) is a bubble of ionized gas formed by a Wolf-Rayet (or WR) star. WR stars are huge short lived stars that lose mass as they age, many ending in spectacular supernovae. The gas surrounding the Crescent is part of a huge hydrogen rich area of the milky way around the constellation of Cygnus. I got a new camera!! After working out some issues in SGP I finally got a little data, but the ZWO cam preformed amazingly with such short integration.